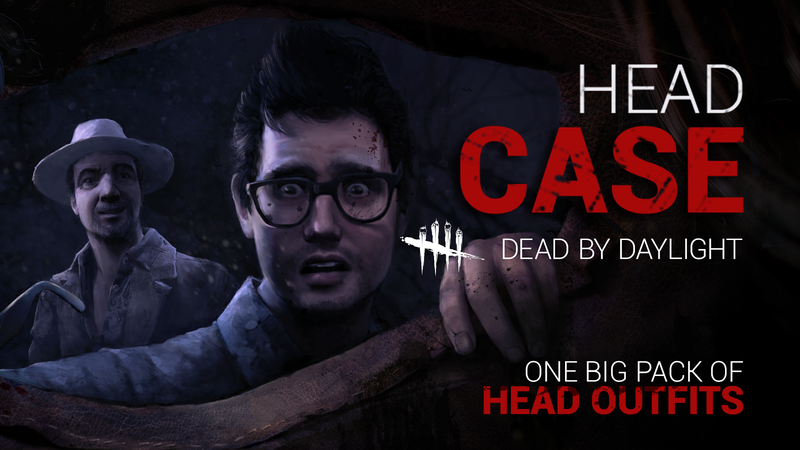 Some huge updates for the past 2 weeks on Dead by Daylight! Firstly, the Winter Solstice Event is live! And.. 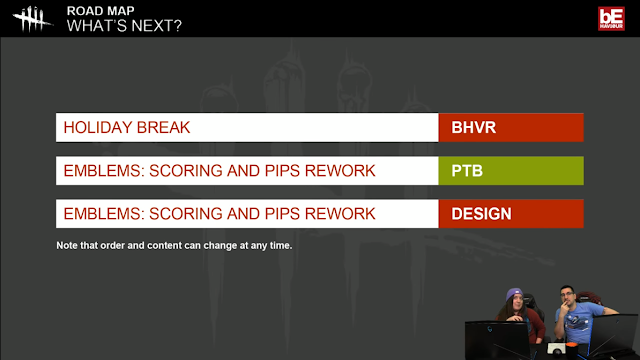 Double BP is coming back from Dec 28 - Jan 2! That was a little unexpected.. considering they just said last week they were looking at other ways to reward players during events.. 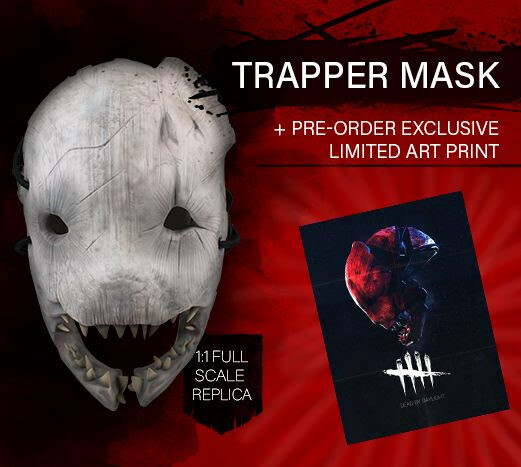 The Trapper 1:1 Mask Replica that was shown at NYCC 2017, is up for pre-order at the Dead by Daylight store. If you pre-order this before the release, in April 2018, you will also receive an Exclusive Limited Art Print that will be signed by most of the dev team. This is limited to 1,555 pieces. A really cool piece to add to the collection if you are a big fan of the game. 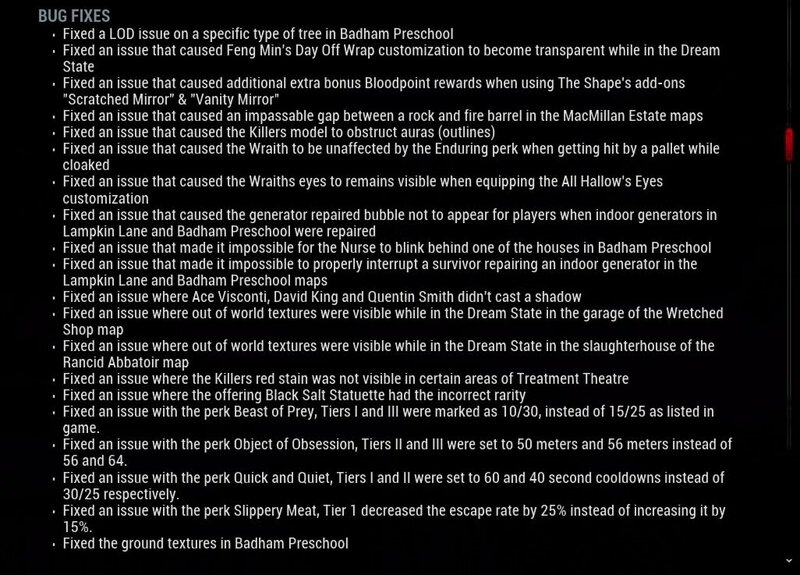 In one of the Q&A questions, Mathieu also mentioned that they are working on more merch for next year, including weapon replicas.. Woohoo! There's been some changes to the game, if you haven't noticed, for the Winter Event. 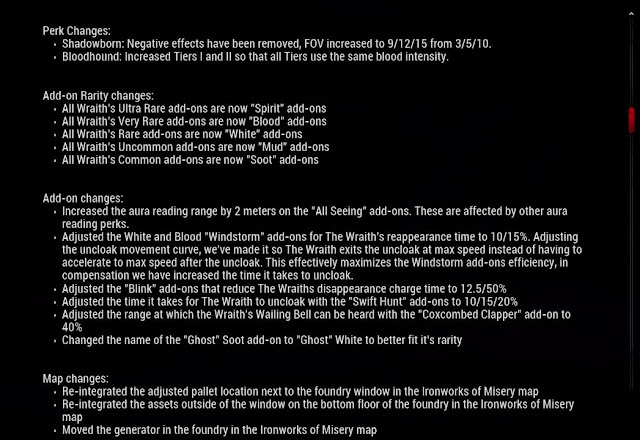 Bloodweb changes for the Winter Mystery Boxes..
Hatch Standoff Ideas - The developers are looking into ideas about the Hatch, where once the Hatch is opened, the Killer can also close the hatch if he/she manages to find it first. 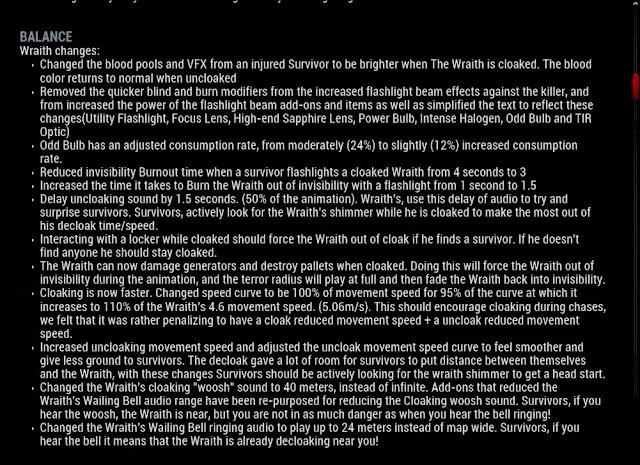 This is in addition to the current situation where the Survivor can also escape through the Hatch if he/she finds it first. 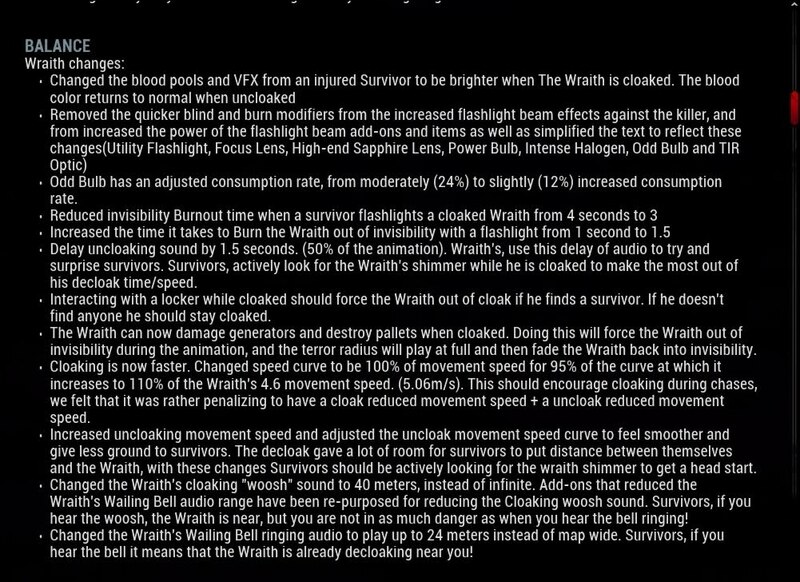 This is to give players something to do instead of standing around the hatch.. Potentially, there will be a key that also spawns in the basement as another point of interest. 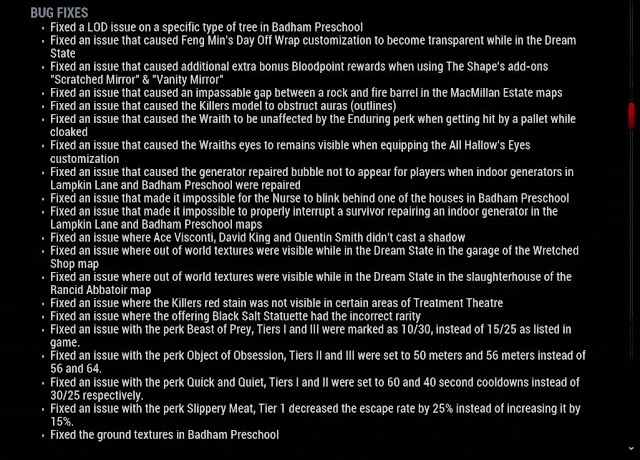 This is just an idea for now, so it's still open to discussion..
New Map - When asked if there's a new map coming, the devs said they have been playing on a new map.. which probably means it's still under testing..
New clothes - Mentioned that it's being 'sewn by dark minions' right now, again meaning it's in development and some of these items could be from the concept art shown several weeks ago..
That's all for this week! There won't be a Dev stream next week so I'll be back with an update in 2 weeks! 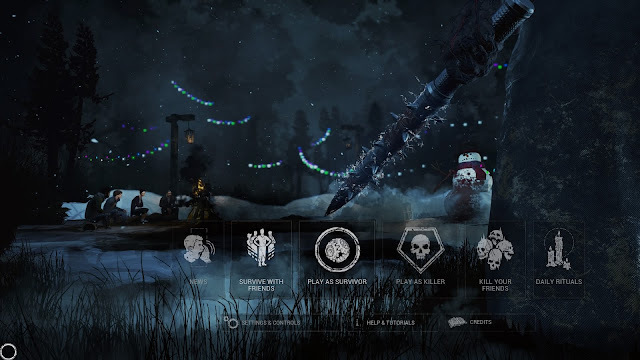 Merry Christmas and Happy Holidays too all Dead by Daylight players.. Hope you are having fun in the Winter Solstice Event and don't forget the Double BP event from Dec 28 - Jan 2! Hope to see you guys online! 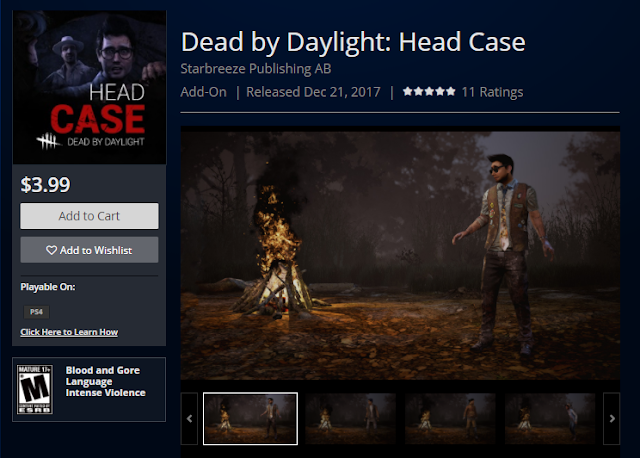 Ooh!This shouldn't have happened because I was very much used to play this game with the previous keys.Well,I believe that dead by the daylight is a game which makes a person force to play it.Knowing the fact that the updates are necessary for the game I think we should be accepting that.